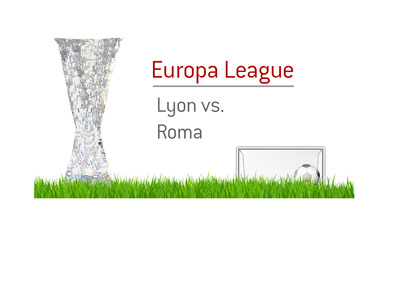 Lyon will be playing host to Roma when Europa League Group of 16 action gets underway on Thursday evening. According to the bookmakers, Thursday's game between Roma and Lyon should be a very close one, as the home side is listed at 29/20 to win, while Roma is currently listed at 19/10. According to these odds, Lyon has a 40.82% chance of winning outright on Thursday, while Roma has a 34.48% chance of victory. Lyon is currently sitting in 4th place in France Ligue 1 with a record of 15-2-10. This gives them a respectable 47 points, though they are well behind the likes of Monaco and PSG. Lyon has been managing to find the net so far this season, as they have notched a total of 55 goals over the course of 27 league matches. Roma, on the other hand, is currently sitting in second place in Serie A with a record of 19-2-6. They are well off the pace that Juventus is currently setting at the top of the table, though a second place finish coupled with a deep run in Europa League would certainly give Roma's fans cause to celebrate. Through 27 league matches so far this season, Roma has scored 58 goals while allowing 25. Roma has lost their last two games in a row, including a 2-1 loss to Napoli in Serie A and a 2-0 loss to Lazio in Game 1 of the Coppa Italia semi-final. Lyon, on the other hand, has won four of their last five games - in all four of those wins, Lyon scored a minimum of 4 goals. This includes 7-1 and 5-0 romps over AZ Alkmaar and Metz, as well as a 4-2 victory over Dijon FCO in French Ligue 1 play. That said, Lyon is currently performing at a high level and will likely give Roma everything that they can handle on Thursday. Lyon needs a strong result at home on Thursday, as Roma has been practically unbeatable in front of their home fans so far this season, as they have notched a league record of 12-0-1 at home.